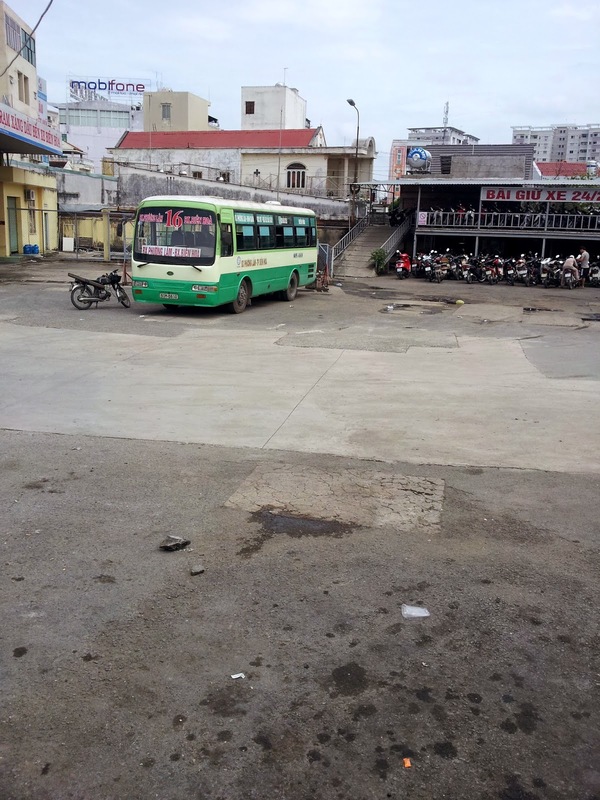 I will now tell you the story of my experiences on The Bus Number 5, the bus that goes between Bien Hoa and Ho Chi Minh City. 45 minutes at its best, x minutes at its worst. (Two hours is probably a reasonable maximum.) 20 miles/35km. Yay hello bus number 5! So, bus number 5. 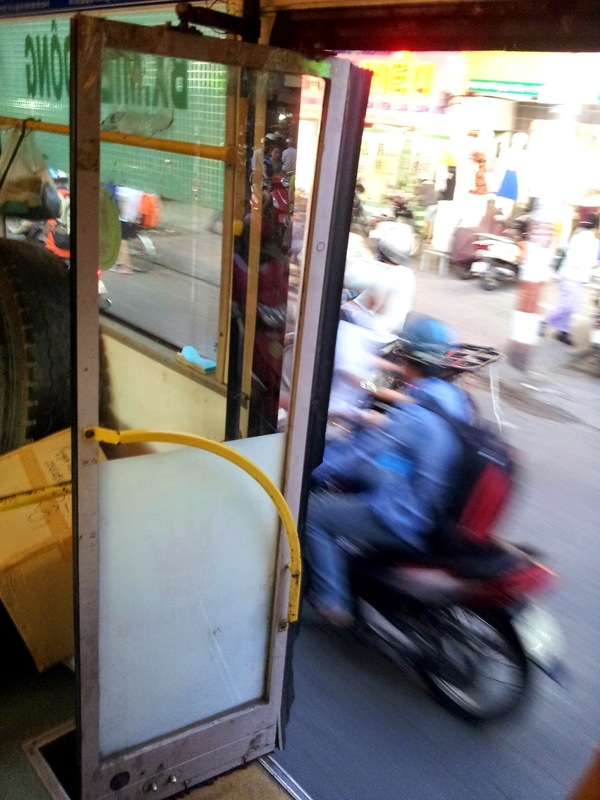 All the other buses in HCMC have lit-up front top bits where it says clearly where they're going, a more modern type of bus. I instantly recognised bus number 5 from the fact that it did NOT have a lit-up front, that it looked like the great-grandfather of all the other buses on the street. It was on a far-away lane, so well in advance I started waving it down. Even as it was switching lanes (“switching lanes” = turning the steering wheel to the right and hoping not many motorbikes/taxis are in the way) I saw the bus drivers confused expression. Another lost tourist...? Why would SHE want to get on this bus...? 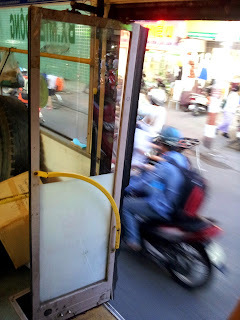 My (British) friend J from Bien Hoa told me later that a Bus Number 5 had once literally driven past him, not wanting to stop for him... Anyways, this bus didn't stop for me, but it did slow down enough with its doors open so the conductor a.k.a usherer-in could pull me into the bus. Because, once you get on bus number 5 it is a different world. It was pretty full, and needless to say I was by far the only Westerner. Three massive boxes were stood in one corner, and there was this huge white board thing on the floor that no one was standing on. 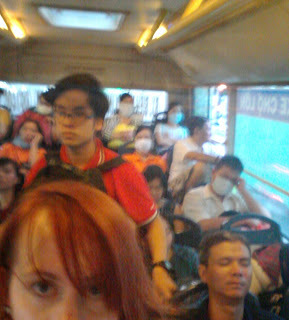 Dunno what it was, still dunno, nothing too harmful coz when the bus got more packed people happily stood on it. For once in my life I had thought ahead, and so didn't have to do the stupid-tourist-unknowledgeable-about-the-difference-of-a-500-note-and-a-500,000-note, and had the 15,000 prepared for the conductor (about 40p). Stood for about twenty minutes, then luckily got a seat before it got even more packed. About half-way through we stopped somewhere random and a man came to pick up them massive boxes in the bus. He and the conductor girl had a happy long chat, then both disappeared, and we were stood there for about fifteen minutes. Even the locals were starting to look outside, confused, though for many it was still very normal – time for a cigarette break etc outside. When we finally did leave, it came as a surprise to some – three guys had to run and catch up with the leaving bus. 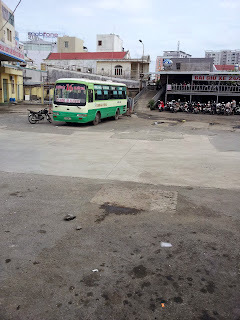 After a long, long while we finally arrived at Bien Hoa bus station. 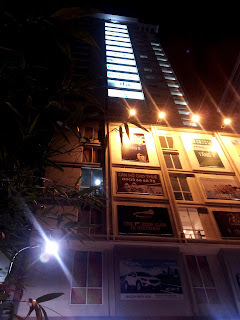 Tired of sticky buses, scary motorbike rides and bad directions from others, I decided I would be a strong independent human being and rely on my own legs and walk from the bus station. Googlemaps said 32minutes to the centre (where I was going), that's manageable. Wasn't even too hot since it was past seven in the evening. So I politely refused the MIRRIAD taxiists and motorbike-taxiists offering their services, and tried to walk confidently out the station. Made it back to the main road which was the last bit which was correct on googlemaps. Ok, I give up, I thought. I'll find a taxi or xeom. But, as always, when you need something, they don't appear. I even wandered into the main area of the big road to see if I saw any taxis. Nope. Finally someone came to offer me motorbike. I talentedly discussed and haggled it to 20,000, and was about to get on when I realised he hadn't given me a helmet. Ha, no, I need a helmet. I will not go on a motorbike without a helmet. Annoyingly this guy decided to drive next to me for the next five minutes, and after a few polite refusals I went to ignoring him, and he finally accepted the message and left. At this point another xeom-driver, a 'real' one, came over, with a helmet, I thanked heavens and got on. He took me to the centre and I would've happily tipped him with thousands. Transport is not easy here. It may be cheap, but it is not easy. 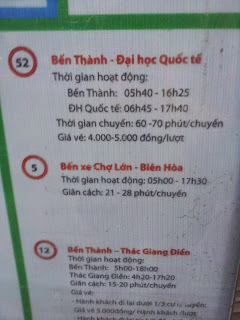 And apparently googlemaps is not to be trusted in Bien Hoa. 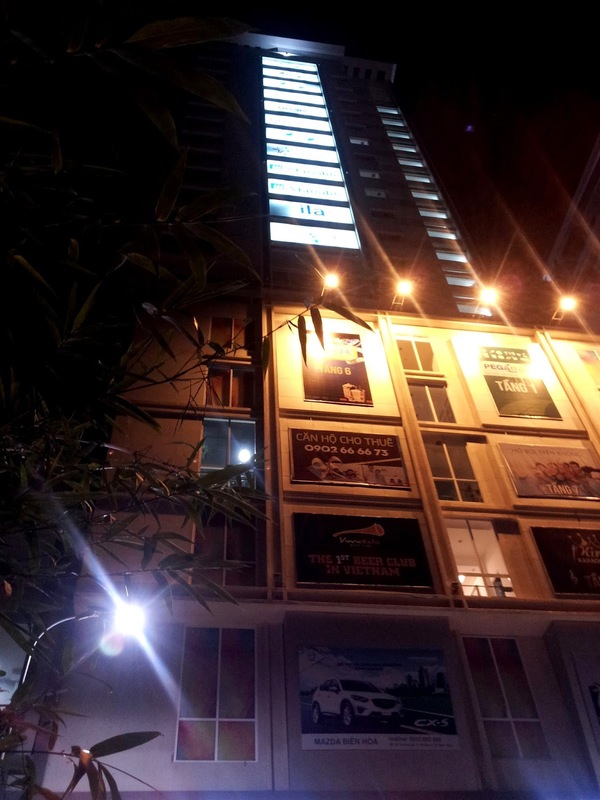 I seem to spend about 75% of my time outdoors in Bien Hoa lost. But, it's all part of the experience eh. 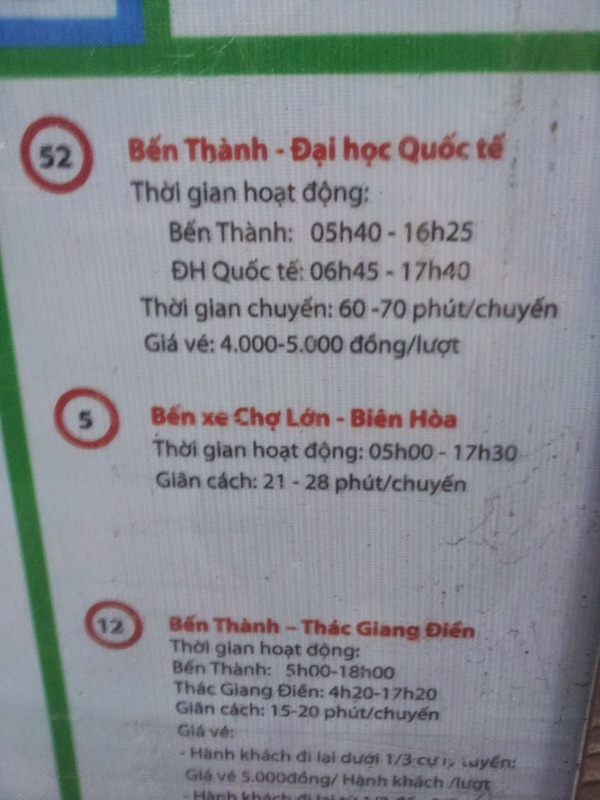 PS Edit: Vocab for future references: BUS in Vietnamese is xe dò. haha this is a great article, I love the bit about the white-board thingy on the bus that no-one stood on! Sounds like a big adventure! So you were visiting a friend there? Stories to tell the grandkids! Aikamoista! Kyllä siinä on taiteilemista, että bussissa pääsee matkustamaan. Sinä olet jo aika tekijä yllättävissä ja uusissa tilanteissa. Oliko se muuten yllätys, että konduktööri veti sut bussiin vai osasitko odottaa sitä? osasin odottaa, ne teki sitä koko ajan, kuka nyt jaksais PYSÄHTYY lol. 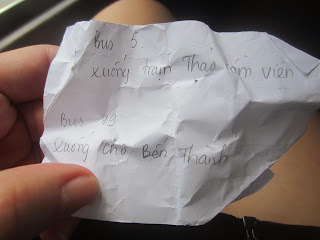 I understand what you mean now when you said that life in Russia prepared you for life in Vietnam - especially the buses! But I think you're going to outdo your parents at wacky travel adventures at this rate... Glad you insisted on the helmet! haha Russia so so so definitely helped! I don't think I could necessarily handle this is I hadn't had the Russian experience haha!